Rhino Horn is not medicine nor a status symbol for the wealthy. The removal of rhino horn powder from traditional Chinese medicine (TCM) in the 1990's had largely reduced demand. During this period, horns sold for very little on the illegal black market, and on average, only around 15 rhinos were poached in South Africa each year from 1990 to 2007. 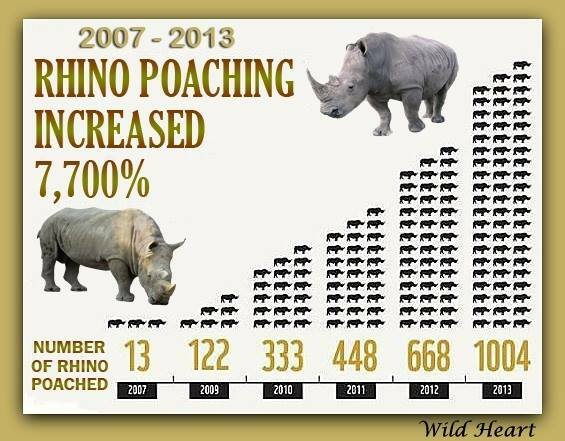 Since 2008, the purchase of Rhino horn as a status symbol by the wealthy in Vietnam & China, has increased exponentially. In addition, the renewed, but misguided belief that the horn does indeed have medicinal value, has escalated demand even further, causing a record number of animals poached in 2014. Stockpile of seized rhino horn. Rhino horn is not a miracle cure for cancer or an aphrodisiac for the impotent, so why talk about the legal future trade? It is unethical and immoral. The pro-trade fraternity have used the ancient Asian myth and the flawed argument that Rhino horn use would be sustainable as a reason to lift the ban on trade. This cannot be further from the truth! False information like this should not be used to push for or justify trade that is economically non-viable. It is also morally and ethically wrong to sell something to a community, based on an ancient myth. An ancient belief is something that is very old, which in the case of Rhino horn use is simply not true, unless of course the ignorant believe that this 'ancient' cure for everything only started in 2007, with only 13 Rhino poached. But things started changing in 2008. That year, 83 were killed, followed by 122 the next year. By 2013, that number had hit 1,004. Making Rhino horn into powder. 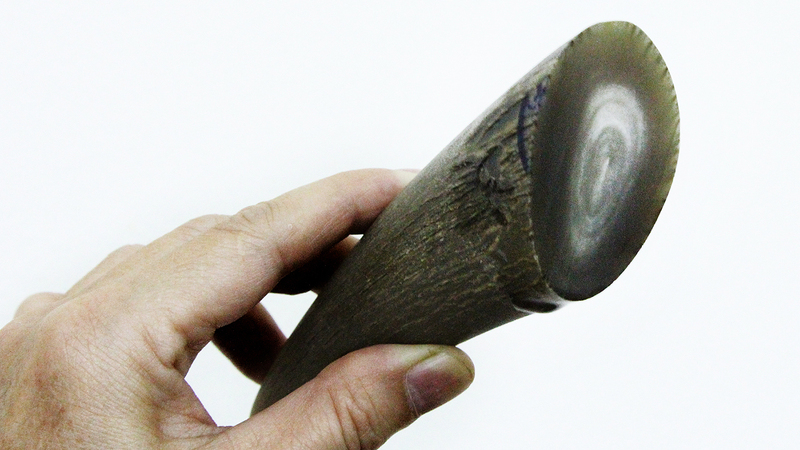 It has been established more recently that Asian consumers are using less Rhino horn for medicinal purposes. However, illegal black market traders are taking advantage of the uneducated who continue to believe in traditional Chinese medicine (TCM). As the demand falls for Rhino horn as traditional Chinese medicine, it increases in the more affluent communities, being flaunted as a status symbol. Rhino horn has no 'USE' in either scenario. 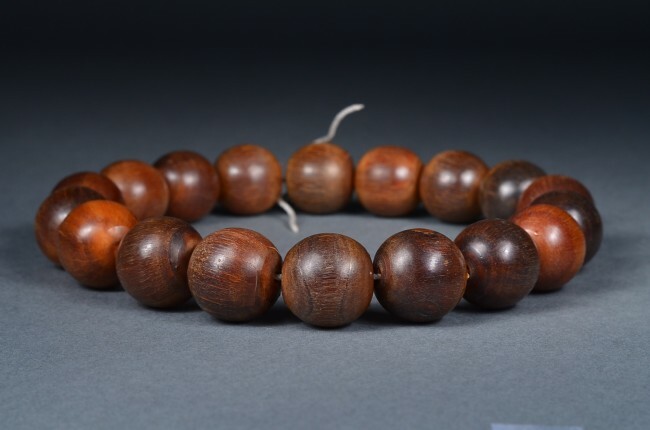 Bracelet made from Rhino horn. TRAFFIC, an organisation that monitors the illegal wildlife trade, conducted a survey in 2013 to identify the most important buyers of rhino horn. Their results confirmed that it is predominantly a luxury purchase by rich men in Vietnam: professional businessmen, celebrities and government officials as a display of wealth. They are displaying it as a status symbol, and do not see themselves as contributing to the devastation of Rhino in South Africa and Namibia. The Department of Environmental Affairs reported in November 2014 that a total of 1020 Rhino had been poached in South Africa, however, the total for the year is estimated to be 1,200. The South African Government and private Rhino owners have been stockpiling Rhino horn for many years, with the hope of becoming very wealthy from the sale of Rhino horn to the Asian consumers in the event that future legal trade of Rhino horn is allowed. However, what this stockpiling has done, is show the crime syndicates around the world that it would be in their best financial interest to illegally trade the horn; thus driving up demand resulting in the escalation of poaching. Opening legal trade of Rhino horn would exponentially increase demand and force the unnatural farming of this iconic wild animal. The poaching would most certainly continue because we would open the trade to a potential Asian market of almost 1.5 Billion people. With only a little over 20,000 Rhino left in the wild, there are not enough to satisfy the demand. The estimated amount of Rhino horn that could be harvested in one year is around 3.5 tonnes. The amount needed to satisfy Asian demand to a very small percentage of consumers is estimated to be over 100 tonnes. Basic math tells us that this would be impossible. The recent OSCAP International Rhino Conference in 2014 highlighted the Risk assessment related to the legalization of the trade in Rhino horn. The premise that legalizing rhino horn trade will make illegal trade unprofitable is neither based on sound economic theory nor supported by solid data. Trade legalisation will most likely preserve and reinforce the illegal sourcing of horn by enabling market expansion, commerce diversification and laundering opportunities. Attempts by South Africa to sell its rhino horn cheaply, thereby undercutting the illegal market, will likely fail. As market power is concentrated in the final stages of commercialisation, a legal supply of horn from South Africa will be unable to influence (much less to control) retail prices or final demand. Legalising trade will simply create two parallel markets–legal and illegal–which will operate alongside each other, as with ivory, reptile skins and numerous other wildlife products. Surveys in Vietnam have shown that, if trade is legalised, many more people would buy rhino horn. A basic calculation shows that, even with rhino farming, there would not be enough rhino horn to sustain a legitimised market. Organised wildlife crime syndicates will exploit the legal market by laundering illegal horn through it. Rhino horn bans, coupled with effective wildlife law enforcement and field protection, do work when they are properly and comprehensively applied, with no loopholes, and with appropriate penalties for all offenders. There is little appetite in CITES for allowing legal trade in rhino horn. Rather than risk submitting a proposal that will almost certainly fail, South Africa should focus its resources on bringing South Africa n “khaki collar” criminal networks to justice, supporting demand reduction in the consumer States, putting pressure on Mozambique to upgrade its wildlife law enforcement efforts and, above all, discouraging speculators from rhino horn stockpiling within South Africa by stating clearly that it has no intention of submitting a CITES proposal for legal rhino horn trade. Illegal rhino horn trade will continue unless there is sufficient political will to deal with corruption in the range States, including in South Africa. The establishment by South Africa of a legal trade in rhino horn would further jeopardise the vulnerable rhino populations of other rhino range States. 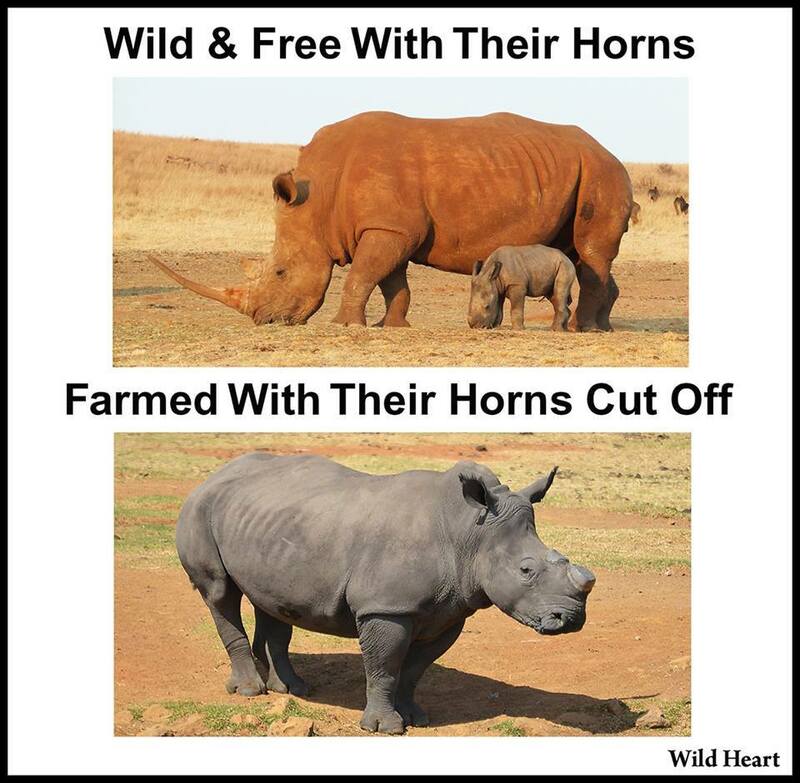 The economical issues were highlighted here, and do not include facts like the extremely high risk to the Rhino which needs to be be sedated while the horns are cut off with a chainsaw. Obviously this risk increases when the frequency of horn harvesting increases. Rhino sedation with M99 (The very potent drug used to sedate the Rhino) is a very high risk operation, extremely traumatic to the animal, and many rhino die during this process. This creates even more of a moral dilemma. How many rhino are we prepared to sacrifice for greed? The tourism industry will also suffer a huge blow, as very few tourists want to visit South Africa to see or photograph a rhino without its horn. The implications of legal trade are far more complex than some understand. There has been a tremendous amount of time and resources spent on educating the Asian communities about Rhino horn and it's lack of healing properties. However if trade were to be legalized, it would send out the wrong message to the consumer, resulting in them reverting back to buying Rhino horn once again. The question remains quite clear - Is it morally and ethically acceptable to allow trade in Rhino horn when knowingly selling something that is based on a myth? Especially when it has been proven to have no medicinal value at all. It therefore seems evident that greed is driving people to lobby for the change of legislation in favor of legal trade, regardless of whether it is being used for traditional Chinese medicine or trinkets for the affluent in order to flaunt their wealth.